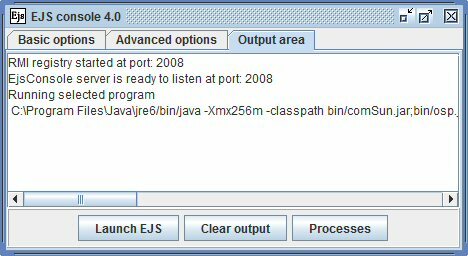 After downloading is very easy to get EJS started. Simply double-click on the file EjsConsole.jar. Tips: Add a shortcut to your desktop. Windows explorer will often hide the extension ".jar". 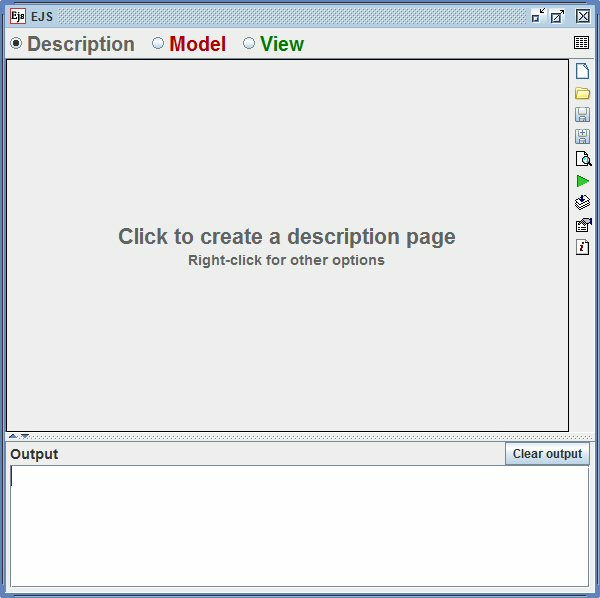 If you were previously working on a simulation and the console is configured to load the last simulation file, the preview windows of that simulation may also be opened at the time that the editing window starts. The most orderly way to end EJS is to close the editing window in the standard way for your operating system. If you have not saved your most recent changes to the simulation, you will be asked if you want to do so. Other termination methods may be less graceful, i.e. may not completely save the state of EJS for a future session.